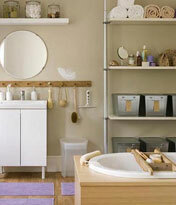 Remodeling your kitchen or bathroom involves more details and planning than any other room of your home. Our planning and design work is precise, with wall and cabinetry measurements to the quarter inch, and esthetically perfected in any style that you like. 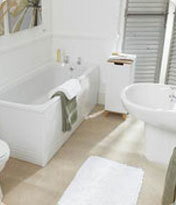 Contact UniversalKbi and start your bathroom Or Kitchen renovation today. Our contractors go through the most difficult training processes available, so our team is comprised of the best contractors in NYC. It is because we are a great brand that makes us superior in terms of quality, level of service, problem solving, project management, and warranties. Regardless of any of the challenges of bathroom remodeling, you eliminate the risk you might find with other companies when you choose UniversalKbi as your contractor. 9 Ideas to Keep Your New Kitchen Functional and Organized. Specialize in fine hardwood products from the 'raw materials' consisting of fine imported and domestic kiln dried hardwood lumber through finished goods including hardwood flooring, solid wood millwork, and hardwood deckin. When you select your project, you get much more than just our remodeling services. Our Added Values truly set us apart from other home renovation businesses and contractors. Here are some things you won’t find anywhere else: . Kitchen Design: Added Value .